Acoustics in schools has been a growing area of focus in recent years. In the past 30 years there have been many investigations examining the relationship between noise exposure of school children and their performance. The earlier studies were concerned mainly with external environmental noise exposure of schools, but more recently the effects of internal classroom noise have been investigated. It is generally accepted that noise has a detrimental effect upon the learning and attainments of primary school children. For all schools and education establishments Quietstone offer a free survey and report service to help you get the most of our products. Our Acoustics in Schools Free Survey involves doing acoustic calculations and listening to the requirements before going away and making a report which illustrates the amount and type of treatment you require and how much of a difference this will make. From here, you can choose to either go with our recommendations or pick from our catalogue which is made easy using our acoustic ‘points’ system awarded to each product. Classrooms should now adhere specified reverberation times. 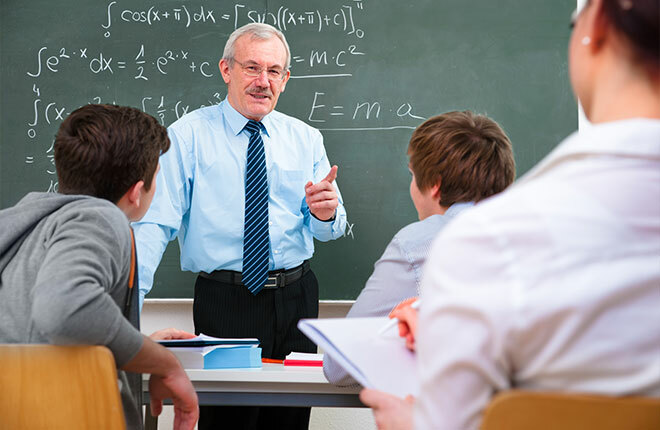 These ensure that speech intelligibility is maintained for teaching and noise levels are controlled to provide comfortable acoustics and minimum distraction. As well as applying a suitable amount of sound absorption, BB93 addresses the best ways to mount panels. The 2 pictures above show recommended positioning of absorption materials for good speech intelligibility. Both include back wall covering to avoid long, delayed reflections which reduces clarity but leave the ceiling largely uncovered to allow for early reflections which increase intelligibility. Noise in corridors can be very disturbing to adjacent classrooms. It is therefore important to control reverberation in these spaces to reduce noise levels. 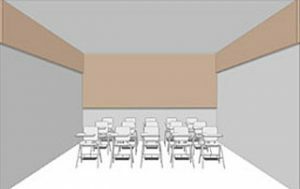 Building Bulletin 93: ‘Acoustic Design of Schools’ – How we can help you comply. To meet the Building Regulations school buildings must comply with the performance standards in BB 93 (Building Bulletin 93) for indoor ambient noise levels, reverberation time and sound insulation. BB 93 ‘The Acoustic Design of Schools’ was produced by DfE in 2014. That document should be read in conjunction with ‘Acoustics of schools: a design guide’ produced by the Institute of Acoustics and the Association of Noise Consultants in Nov 2015. The performance standards in BB 93 provide the normal means of compliance with: Requirement E4 of Part E of the Building Regulations; The School Premises Regulations 2012 and Independent Schools Standards 2013.
provide a comprehensive guide for architects, acoustical consultants, building control officers, building services engineers, clients, and others involved in the design of new school buildings.